There’s nothing quite like driving a luxurious (yet affordable) 2018 BMW 3 Series sedan around Westchester County, Yonkers and Hartsdale, NY. However, you still have a choice to make…do you go with the 2018 BMW 320i or the 2018 BMW 328d (which they used to call the BMW 328d)? It’s a win-win, ok? That’s why our team here at BMW of Westchester wrote this vehicle comparison between the 2018 BMW 320i vs 328d. Keep reading to learn more about these incredibly sporty cars. Either way, you’ll enjoy a standard engine that produces up to 180 horsepower. But, from there, details vary slightly. 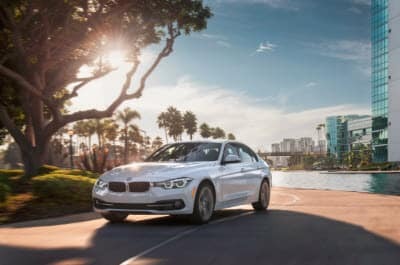 The 320i lets you take advantage of a 2.0L BMW TwinPower Turbo Inline 4-Cylinder model, while the 328d lets you take advantage of a 2.0L BMW Twin-Power Turbo Diesel Engine. Just awesome. Furthermore, the former was engineered with a Twin-Scroll Turbocharger for optimal oomph, while the latter was engineered with state-of-the-art Variable-Geometry Turbo Technology for maximum zoom. Last, but certainly not least, one area where these two cars diverge is their transmissions. In the 320i, you’ll change gears with an 8-Speed STEPTRONIC Automatic Transmission (with Adaptive Transmission Control). 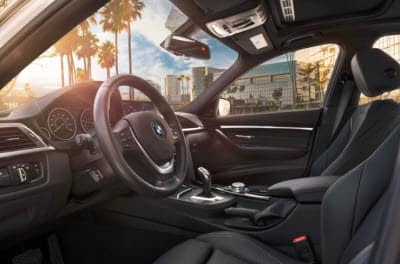 In the 328d, you’ll change gears with an 8-speed Sport Automatic Transmission with automatic Sport and Manual Shift modes, as well as an accompanying set of steering wheel-mounted paddle shifts. As you can see, the 2018 320i and the 2018 328d match up extraordinarily well in these categories. So, in other words, you can look forward to a powerful and exhilarating ride, whichever one you go with. Not only do these cars offer exciting engine and performance specs, but they offer exciting cabin audio entertainment packages, too. We’re talking about the BMW HiFi Sound System, folks. With 7 channels, 205 watts, and 9 speakers (2 tweeters, 4 midrangers, 2 bass units, and even a center dashboard channel speaker), you can’t go wrong. You’ll hear your music more clearly than ever before. And, not only will you hear your music clearly, but you can be absolutely certain that it’s actually your music, too. That’s because AM/FM radio, a CD/MP3 player with a Radio Data System, HD Radio™ with ‘multicast’ FM station reception, and pre-wiring for SiriusXM® Satellite Radio will give you the broadest range of musical selections possible. These are all available on both the BMW 320i and the BMW 328d. Contact us at BMW of Westchester to experience either model today! It doesn’t matter if you’re into the 2018 BMW 320i or the 2018 BMW 328d. It doesn’t matter if you live in Westchester County, Yonkers and Hartsdale, NY. BMW of Westchester is here for you. Simply call us on the phone, contact us online, or stop by our dealership in person today. Thanks!